With Christmas around the corner, Bloomex -- as Canada's true national florist -- is committed to giving back to local community causes. Because of that, we've come up with an idea that can benefit any charitable organization in Canada, big or smallAnnouncing: our "GIVE" Basket program. Here's the basic idea - we'll send you a template email that you can send out to your membership to engage them. Since people love our gift baskets for holiday gifts, why not engage them for donations on a product they might purchase anyway? When your membership purchases a "GIVE" Basket, 20% of the amount will go to YOUR cause. Your members simply enter the name of your organization at checkout under the 'Special Instructions' tab, and it's all set. Bloomex will donate those proceeds to your organization after the holiday campaign has wrapped up. To get involved, simply give us a call at 1-888-912-5556 and we'll send you a template to engage your membership with. If you have any other questions, drop us a line by email if you prefer. We look forward to donating to your cause this holiday season! Fundraise this Holiday Season with â? 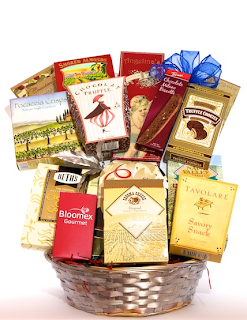 ?GIVEâ? Baskets from Bloomex! A unique idea that allows your membership to contribute to their favorite Charity or Non-Profit Organization... YOU! Bloomex will provide you an email template with your Logo and Name that you can email directly to your Membership. Bloomex will donate 20% of the products purchased directly back to you. The more â? ?GIVEâ? Baskets your membership purchases the more money you raise. This program is open to both individual â? ?Giftâ? purchases or larger â? ?Corporateâ? purchases. Bloomex â? ?GIVEâ? Baskets offer an ideal Fundraising opportunity at a Great Price. Guaranteed Coast to Coast Delivery. 20% of total product purchase donated back to you! Sign up NOWâ?? this is a limited offer. Because of that, we've come up with an idea that can benefit any charitable organization in Canada, big or small. Announcing: our "GIVE" Basket program. Here's the basic idea - we'll send you a template email that you can send out to your membership to engage them. Since people love our gift baskets for holiday gifts, why not engage them for donations on a product they might purchase anyway?